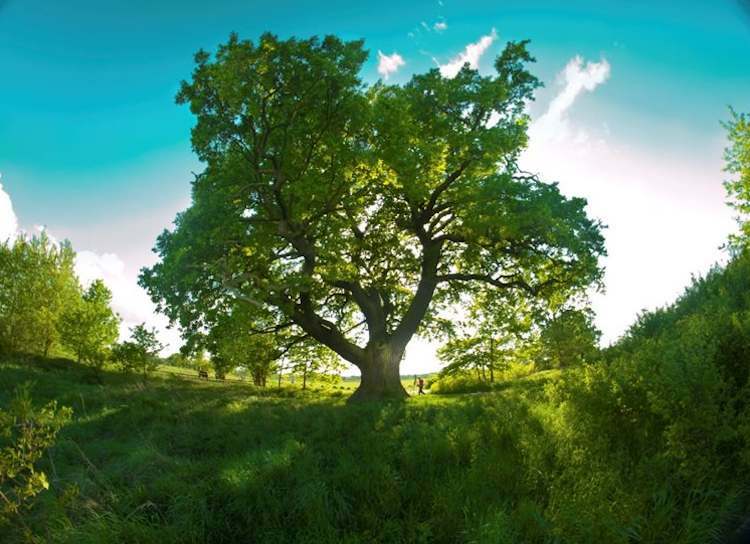 A towering oak tree in the middle of a grassy soccer field in Estonia was named European Tree of the Year after 200,000 people cast their votes in February. 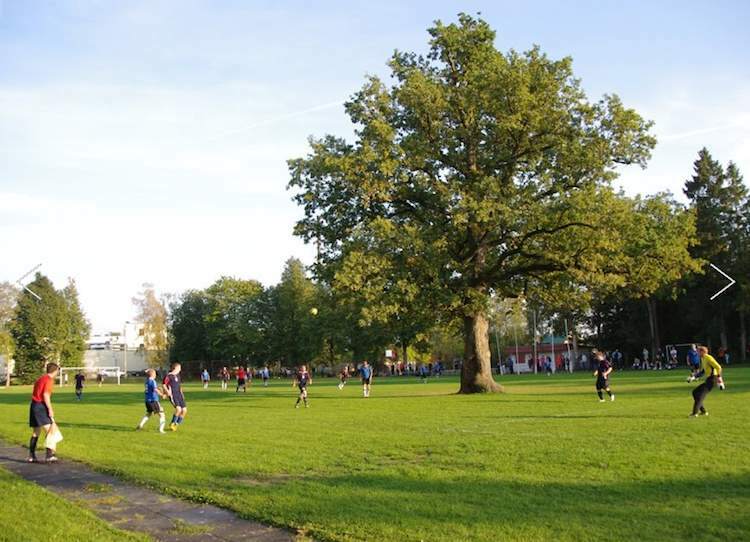 The 150-year-old oak offers shade to football teams competing in Saare County that have learned how to use the tree to complete passes. In 1951 the town of Orisaree enlarged a small sports field incorporating the mighty oak into its playing area. “This contest really joined people together and made us all feel the importance of trees for our community,” said Heiki Hanso, coordinator of the contest in Estonia. The European Tree of the Year contest was launched in 2011 by the Environmental Partnership Association as a fun way to highlight the significance of old trees in the natural and cultural heritage of all countries in Europe. Check out some other winning trees below. The tree became a symbol of Polish identity, paying homage to those who fought for centuries against the Germanization of the Silesia region. The tree dates back to the Silesian Piast dynasty symbolized by the patriotic name Slav. The tree stands in the village of Dębina (meaning oak forest) whose inhabitants cherish it as a living symbol of their local community. 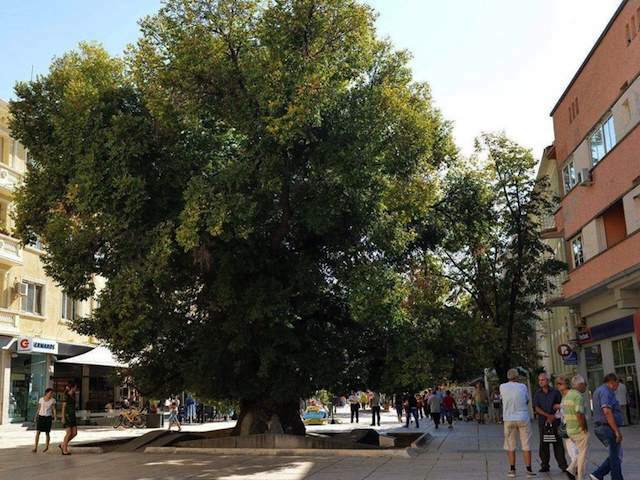 The Old Elm in Sliven, Bulgaria is a beloved symbol standing directly in the city square. It is a centuries-old silent witness of the Sliven’s turbulent and heroic past and its modern day parades and protests. The tree is featured on the city’s coat of arms and will remain a historic marker for generations to come. 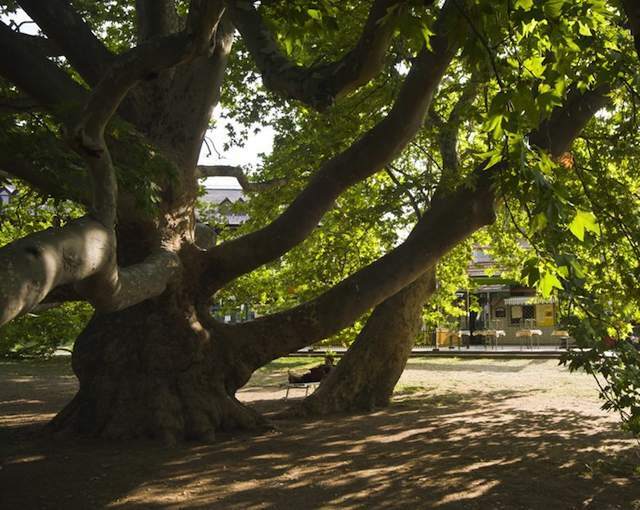 The Plane tree in Heves county, Hungary is among several remarkable tree species that thrive in the unique environs of the Eger thermal spa that promotes fast growth. 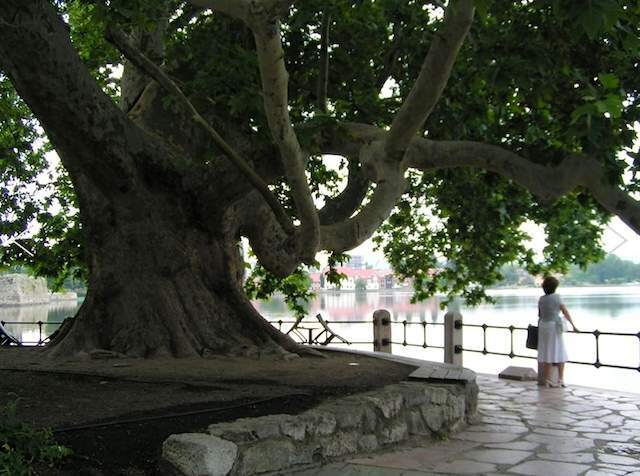 A local myth describes a scene from 1552, during the successfully defended Turkish attack against the Eger castle, in which the Turkish army was directed from beneath this Eastern Sycamore. This tree, however, was planted in the 18th century when Karoly Eszterhazy was bishop of the city.